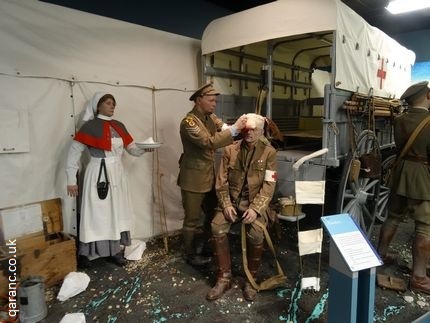 The Museum of Military Medicine, formerly the Army Medical Services Museum, collects and archives the war diaries, photographs, artefacts, uniforms and much more of the Royal Army Medical Corps, Royal Army Veterinary Corps, Royal Army Dental Corps and the Queen Alexandra's Royal Army Nursing Corps. Displays range from the English Civil War, Napoleonic Wars, World Wars, Korea, Falklands, Gulf Wars, Afghanistan and current conflicts where the AMS provides healthcare. 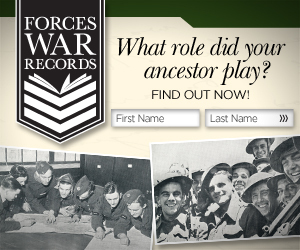 This free entry museum is open to the public but because it is housed in Keogh Barracks, a secure site, it is recommended that visitors contact the museum curator to arrange a convenient time to visit. The AMS Museum is open from Monday to Friday from 10am until 3:30pm. It is not open on bank holidays or at the weekend. The curator is able to organise group visits during or out with these hours. Admission is free though please do consider leaving a generous donation. Do look out for the cape that belonged to Sister Edna Lucy Craven. Audio tape guides are available to give visitors to the AMS Museum extra information about the exhibits and items on displayed. There is disabled access at the museum though not to the train. There is no catering facilities open to visitors. A shop sells items of relevance. There are toilets available. The first QA Museum was opened by Princess Margaret the QARANC Colonel in Chief on the 22 May 1959 at Hindhead, the Training and Establishment Depot. Princess Margaret was presented with a gold, diamond, ruby and sapphire brooch which was in the form of the QARANC Corps badge. The RAMC Staff Band provided a Guard of Honour and played at this formal military occasion (cited in the book Queen Alexandra's Royal Army Nursing Corps (Famous Regts. S) by Juliet Piggott). To mark the final closure of the QARANC Museum at The Royal Pavilion, Aldershot prior to its move to the RAMC Museum in Keogh Barracks, Ash Vale there was an open day and fayre on Sunday 20 November 1994. Proceeds were donated to the QARANC Museum Appeal Fund. See also Florence Nightingale Museum St Thomas' Hospital London. National Army Museum Chelsea London. List of Military Museums in the UK.